Citizens now have the power of the camera in their pockets to record anything from board meetings to crime. These clips show up as evidence in our judicial system and require technology to display so that the jury can hear and see them clearly. 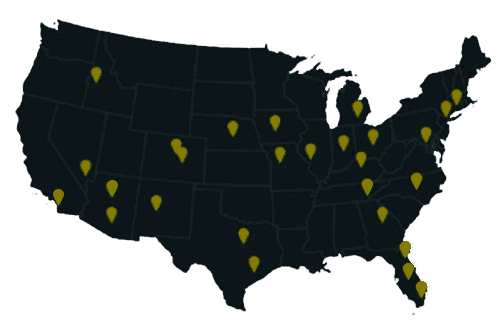 CCS Presentation Solutions provides quality AV products and installations for courtrooms and jury assembly rooms of all types, nationwide. CSS installed a comprehensive audio visual system in the Pinal County Courthouse in Arizona, maintaining the historical features of the space while integrating new technologies. The new presentation capabilities, including the conference room for 100 people, HD projectors on either side of the courtroom for full visual and audio access for all attendees and microphones available for each seat of the conference table, all of which can be controlled from one wireless touch panel. The Da-lite Providence mediated lectern was the solution that provided voice to all members of the community, including, empowering the voice of our disabled citizens and meeting ADA requirements. 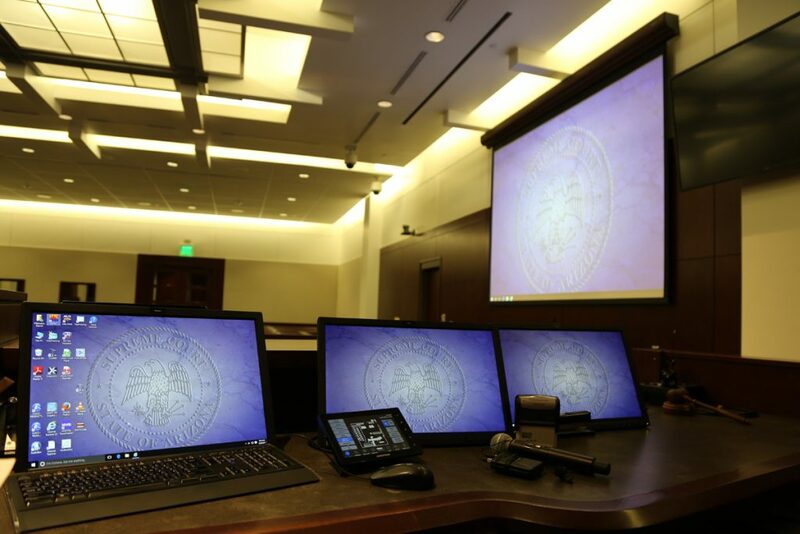 CCS will partner with you to design a custom AV system for your courtroom that is flexible and anticipates future needs for maximum operational efficiency. Below are a few examples of what our specialists know from their extensive experience and expertise.